Hi, and thanks for visiting my website. My name is Dave Barlow and I’ve been working in and around music for the last 30+ years, mainly as a guitar player for various bands and projects playing in the usual bars and clubs including some prestigious venues like The Marquee, Astoria, Mean Fiddler (some now sadly closed) and many more, plus some great outdoor events like Rock the Park, Cambridge Rock Festival plus a few others of late. Please find some of my services below. 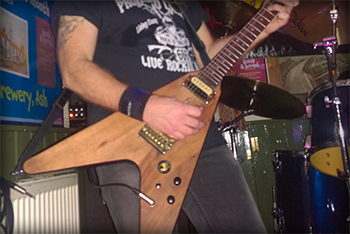 * Guitar repair and upgrade service (set up, refrets, pickups etc). * Amp Repair, upgrade service. (tube/valve amps, PA/desk, Speakers, Keyboards etc). * Classic guitar amp building service. Effects: Mooer Chorus, Delay, Phase, Dunlop Wah, TC Reverb, Line 6 M5. Wireless: Smoothhound, Line 6, Xvive. Strings, Sfarzo SFT Screamers, Rotosound and Legacy. Guitars (for live use): Gordon Smith Flying V (Original 1982) Gibson Les Paul 1960 Reissue (both guitars are fitted with custom bridges, Iron Gear Pickups), Washburn mg74 customised 80's metal guitar with whammy bar for the dive bombs, fitted with Iron Gear Steam Hammers (works great with back combed bleach blonde hair and spandex LOL). EVH Wolfgang Special (Mexican) Stock, Epiphone Explorer stock but fitted with IronGear Blues Engine pickups. MISC: Samson Q7 microphones (cos they sound like sm57's and they are pretty good value for money) and a boom stand (that seems to have a mind of its own). 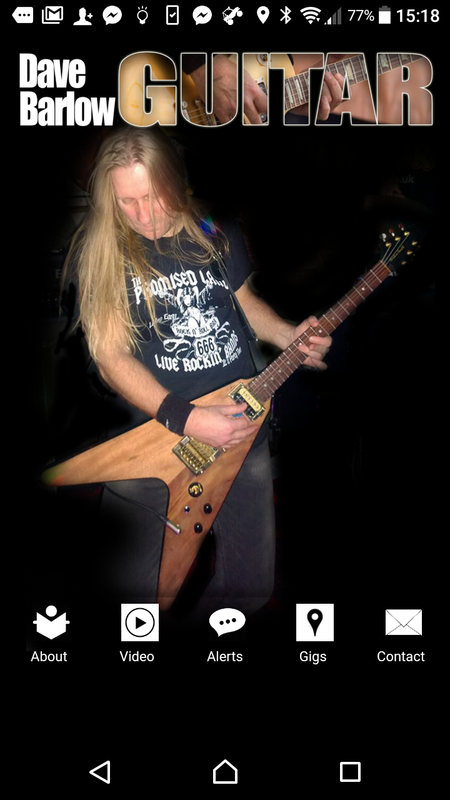 If you've been a keen follower on my YouTube channel this app will be for you, with the app you can view all my latest videos on the fly, also keep up to date with general info. "Hey buddy.... .. 'twas indeed a great night..... . when your man started dancing on the tables, I thought my wife was going to chop his legs off, but all good - and a fantastic band you have there sir... . .. .
For Rock Guitar Lessons and free advice Click here. 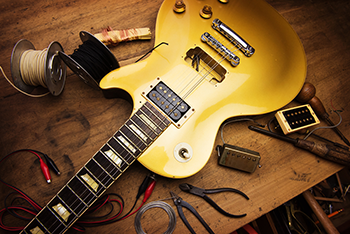 For all your Guitar Repairs, set ups and upgrades (including free advice) click here.